Orlando, FL, September 4, 2009 — Central Florida Publisher, Tarsha Campbell, is taking her inspirational book publishing seminar on the road to the greater metropolitan Atlanta area, where she is scheduled to speak at the 2009 Christian Prophetic Poet’s & Writer’s Retreat, September 16-20, 2009, at The Lodge at Simpsonwood in Norcross, Georgia. The retreat’s theme is “The Birthing of a Scribal Nation” and is hosted by Voices of Christ Literary Ministries International (VOC), a global literary organization declared as a modern day “School of the Scribe”. Tarsha, Founder and CEO of DOMINIONHOUSE Publishing & Design, LLC, will be among an elite group of creative, prophetic, literary voices from around the nation that will speak at the upcoming groundbreaking retreat. The retreat, as described by VOC organizers, is a place of habitation, revelation and understanding, where scribes will focus on “writing as ministry” as they learn who they are in Christ, get supernaturally aligned with the Father’s growing army of sons whose weapons are their pens, keyboards and the unique sounds pouring from their renewed hearts; and break forth into another level of scribal ministry. DOMINIONHOUSE Publishing & Design, LLC is a full-service publishing and graphic design firm dedicated to publishing the gospel with divine ingenuity and creative excellence. 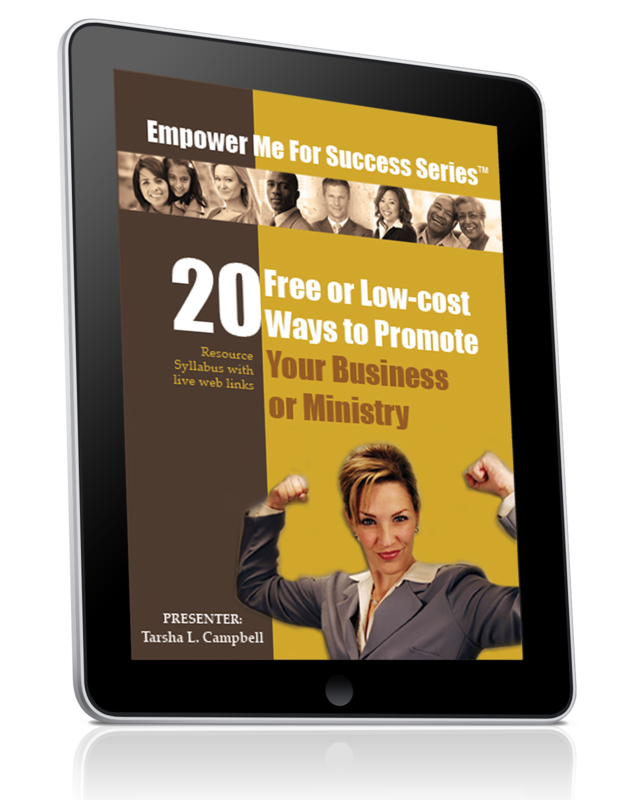 As a part of their mission the firm presents inspirational seminars to motivate and empower authors and leaders to publish their writings for God’s glory. For more information or to book Tarsha to speak at your next event, visit www.mydominionhouse.com or call 407.703.4800.